Nom Nom Nom..excuse me for crunching and posting at the same time! Yummy Banana Cookies and milk on the Patio……Simply Delightful..hhhmmm Nom Nom Nom Nom! Nothing better than some banana cookies and milk although, I had a dickens of a time getting that milk out of the jug! 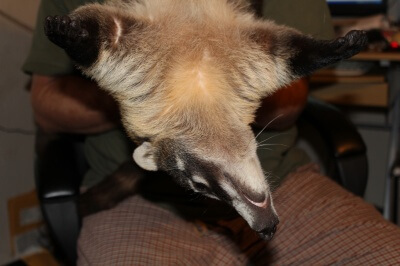 CoatiMom felt sorry for me and poured me a glass. 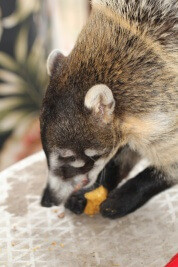 I am working on my table manners, however Dang those banana cookies are the bomb!!!! 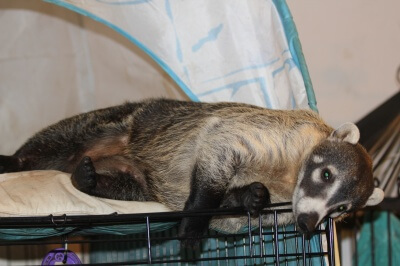 Nothing to do but lay around the house…CoatiMom I’ll take those treats now ( She gives me treats cuz I’m the favorite) All this napping has made me tired..pardon me while get a few more winks! PS. Bonnie and Raven are fighting over who is going to get the most valentines…..Geesh! That’s women for ya………. 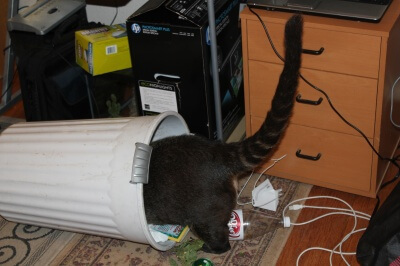 (sometimes it good to be neutered) besides everyone knows I’m the favorite….. Author LuckyPosted on February 14, 2011 May 24, 2017 Categories Lucky's Man Cave2 Comments on Will You be my Valentine? Polar Bear or Snookum Bear? 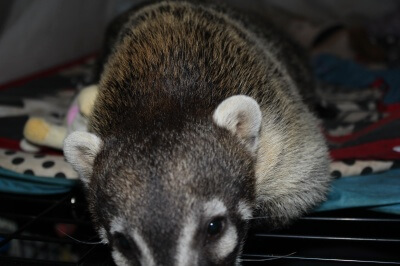 CoatiMom thinks I must be part polar bear because I like adventures. 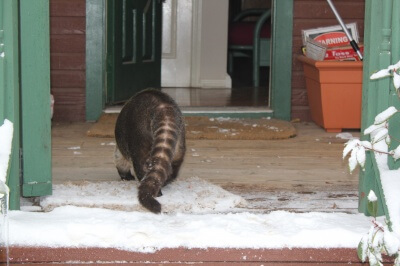 I am here to tell ya , that aint so…….back inside my warm and toasty house for me! 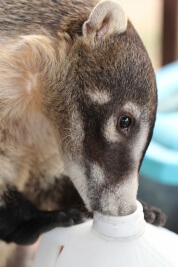 Why don’t they make coati safe Hot chocolate..totally unfair! Must remember to write the goverment……. It’s a free for all!!! 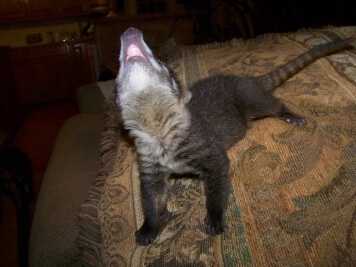 It’s a wild time in the House of Coatikids tonight! 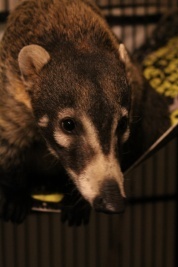 CoatiMom let us all out in the house together for some quality playtime since it’s to cold to play outside. 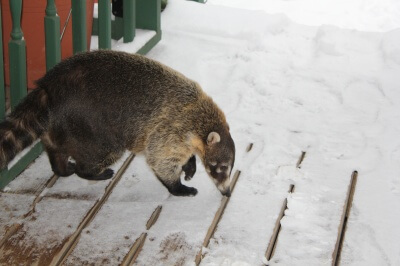 CoatiMom says if it’s to cold my tail might fall off……so we are all inside for the winter it looks like. 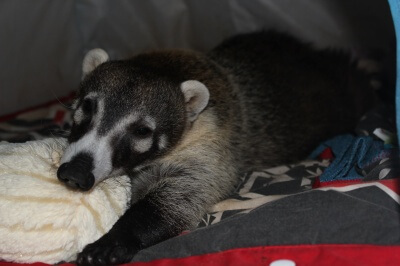 We sure did have some fun, we all pounced on CoatiMom’s head *snickers*, it’s much better to play on CoatiMom than anywhere else…. 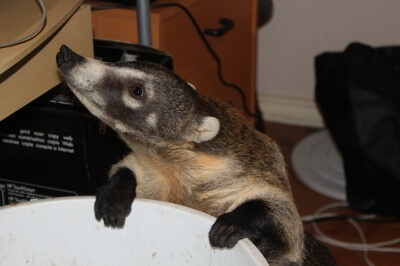 Of course, Bonnie Spent most of her time sucking up to CoatiDaddy (he is a sucker for her, she wiggles her stupid cute little ears and he does want ever she wants). I was the best behaved one! I always am (cuz I am the favorite). Raven got in trouble…tsk tsk that girl, she just won’t stay off those blinds and has broken many of them…All in all it was a fun time. We got snacks and everything! Looks like another nice day! I love to sleep in my inside tree house. It’s going to be another great day for going outside. 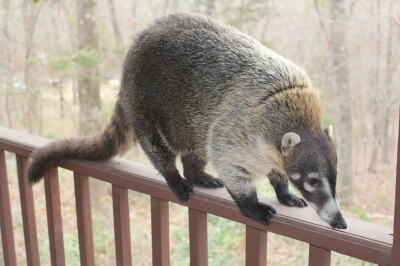 I can’t wait til CoatiMom opens the back door! I want play outside and go exploring. So much new stuff to see everyday. 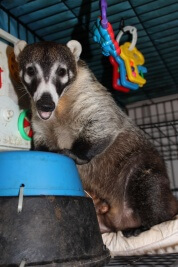 I do have to watch out for those silly chickens CoatiMom keeps, but I can’t complain about those yummy eggs! Author LuckyPosted on December 4, 2010 May 25, 2017 Categories Lucky's Man Cave1 Comment on Looks like another nice day! This is Lucky I have been authorized by Bonnie, Clyde and Raven to speak for us all. (that’s me giving you the evil eye..be a scared) We demand the following treats or else…………We have blogs and know how to use them………………….We are smart and can take over all of Mommie and Daddy’s computers and run the house! Then we will move to the next house..and then the next…until we rule all of the world. If you don’t want to see that happen..SEND TREATS!!! 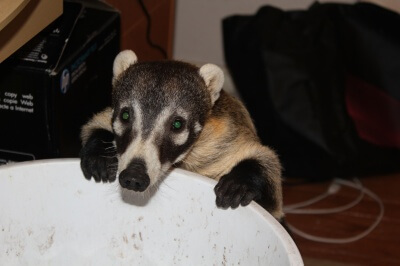 Just click on any post and leave treats or talk to Coati Mom…… Hurry I’m hungry..aaa I mean the gang demands it seeee………. I am NOT fat, it’s muscle!